Only a few more days left until 2013! Yay! There are so many books I'm anticipating the release of. ... 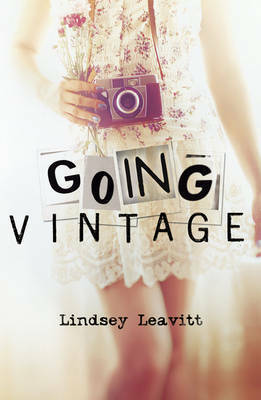 Going Vintage by Lindsey Leavitt. Sixteen-year-old Mallory loves her boyfriend, Jeremy. Or at least likes him more than she's ever liked any other boy. She's suree feels the same way. Until she happens upon his online Authentic Life game and discovers he's cheating on her ...online Mallory's life is falling apart and technology is the cause. And then she finds a list, written by her grandma when she was Mallory's age. All her grandma had to worry about was sewing dresses and planning dinner parties. Things were so much simpler in the 1960s. And there's nothing on the list that Mallory couldn't do herself. 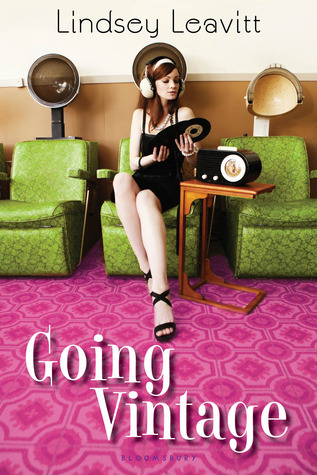 Maybe it's time for Mallory to go vintage and find the answers to her modern-day problems. Both of the covers posted above do this book the justice it deserves. I couldn't decide which one to put on her, so I went with both. I think the one on the left is the hardback version and the other is paperback, but only for the US edition. I can only find the paperback version of it in the UK, but I'm fine with that. I can't wait to see what kind of books 2013 has in store - this is my last Waiting on Wednesday for the year 2012. Leave a link to your Waiting on Wednesday this week, and I'll check it out. An awesome pick! This sounds like a really awesome contemporary. This book sounds really fun!! Great pick!